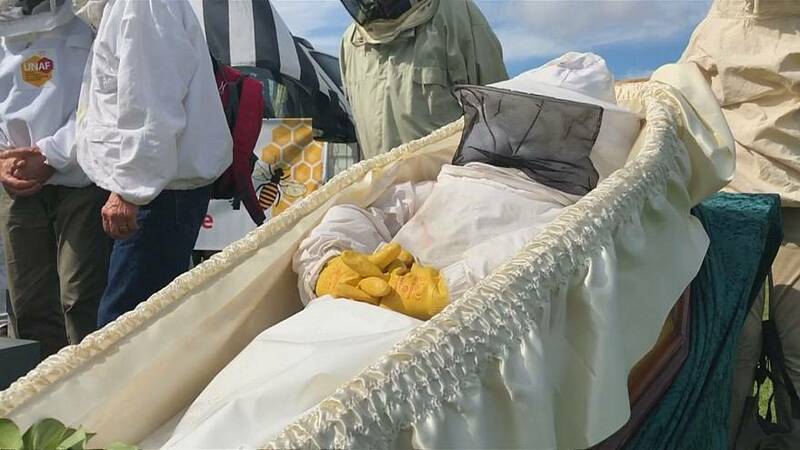 Bees in France are fast dying, say beekeepers who staged a mock funeral in central Paris on Thursday (June 7). French beekeepers say an average of 30 percent of bee colonies died following the last winter, due to pesticides used across the country. A small delegation marched towards the presidential palace, but were stopped by police. An EU court upheld last month a partial ban on three insecticides known as neonicotinoids, saying that the European Commission had been right in 2013 to restrict their use to protect bees.